On the last day of the project, I walked around Manhattan until I found a tattoo shop to get my 18th and final tattoo for 10 Cities/10 Years. I have known for years what it would be, but I’ve been holding it close to my chest (so to speak), and now that I have it, the full picture is complete. For those whose wonder what these words mean and where they come from, I wrote an explanation more than 4 years ago on this blog. As I enter the next phase of my life – whatever that may be – it’s important I remember the ethos of 10 Cities, which was not about quickly accomplishing as much as possible in order to mark things off of a checklist. Instead, my life was about slow travel, marinating in a place and getting to know it from the perspective of a local. Now that I’m unshackled from the constraints of the project, the temptation will be to see as much as possible. This is especially true now that I’m older. I was 22 when this project began, in the midst of my eternal youth. Now, at 32, I’m still relatively young, but the burden of time is more acute. I’ve never seen Europe, or Asia, or Africa, South America, Australia or Antarctica. And believe me, I want to see them all. The trick going forward is to find a way to fit in all the travel I want to accomplish without losing sight of the reason I want to do it. So, every morning when I look in the mirror, I will have a reminder to slow down, appreciate the space, take in my surroundings. 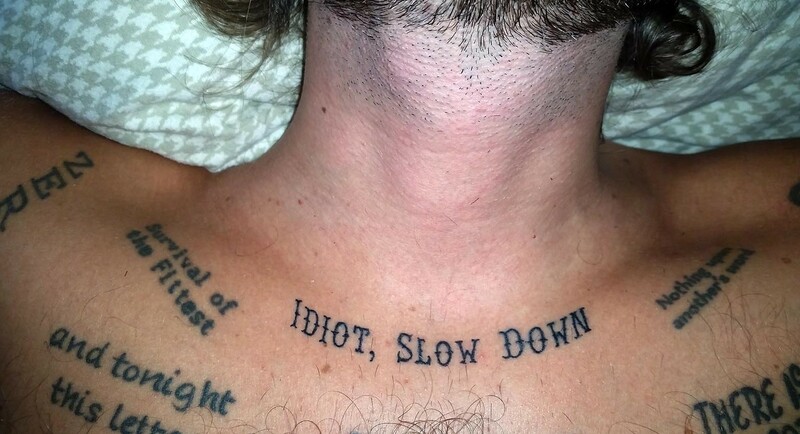 Don’t be an idiot. Like all of my tattoos, it’s both a marker of my past and a lesson about the future. 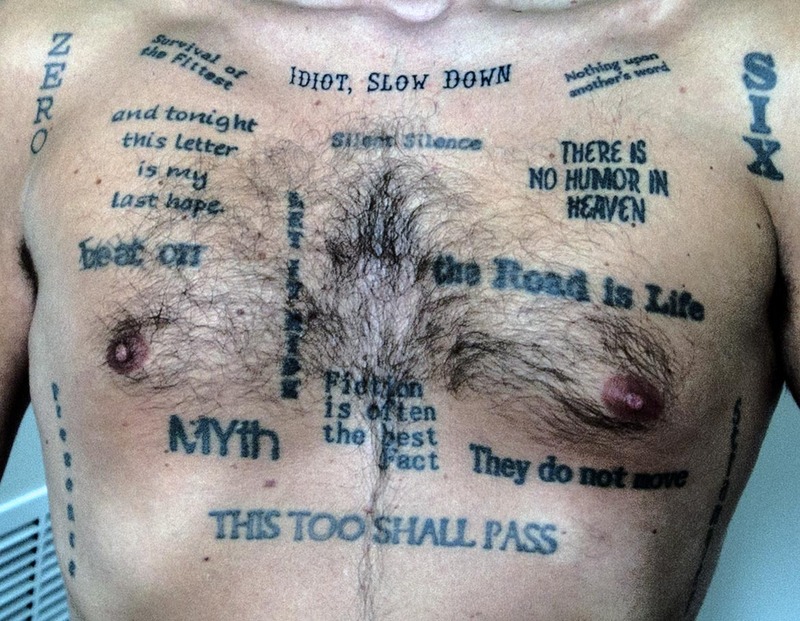 The 17 phrase tattoos that adorn my chest make up the philosophy and truths of 10 Cities/10 Years. They are the Bible of my belief system. Essentially everything I could hope to say is already written on my chest, stolen from minds more interesting than mine. In time, there will come a New Testament, but for now, this is the final word. I realize this is an old blog post and I have no idea who you are but I just had to tell you that I also have lyrics from the same Radiohead song tattooed on my shoulder blade. I think it’s pretty rad that there’s someone else out there who found those words inspiring. Old post, but I’m still here. That’s cool that you have words from “The Tourist” as well, I definitely think it’s one of their most beautiful and underrated songs.